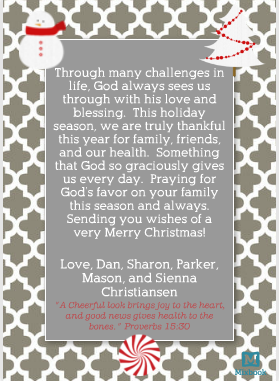 We used mixbook.com again this year to create our Christmas card. I really enjoy the site because it allows you to customize the style, add words, etc. Most of the other sites (like tinyprints, shutterfly, minted, etc.) don’t give you that much freedom. We used a friend of ours who is a photographer to capture this year’s family photos as well as Sienna’s one year photos. She was AMAZING and we loved her and how she captured our family. More photos from her at another time. Go check out her photography page http://www.amylaudaphotography.com. She is in the Woodstock/Kennesaw area and very reasonably priced! 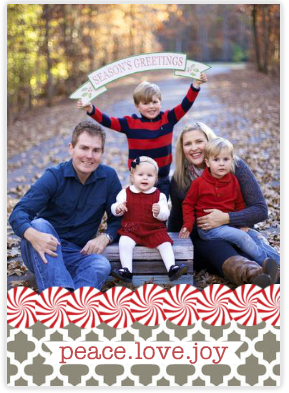 You can check out our cards from the years past by going here, here and here.